UMP | University of Minnesota Press Blog: “People are born here and only leave here when they die": On forced land eviction in Salvador, Brazil. “People are born here and only leave here when they die": On forced land eviction in Salvador, Brazil. View of Gamboa de Baixo, a neighborhood in the Brazilian city of Salvador, Bahia, which is known for its Afro-Brazilian culture and street carnival. 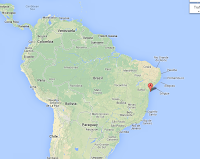 It is also known as Brazil's "capital of happiness." Having worked on the research and writing for Black Women against the Land Grab: The Fight for Racial Justice in Brazil for more than a decade, I became extremely anxious about the book’s continued political relevance as its publication date came closer. I must begin by explaining that both in graduate school and now as professor, I have had the privilege (and pressure) of working closely with some of the world’s leading scholars of black feminist and radical thought in the African diaspora. It is expected that my scholarship will contribute to black social thought as well as offer new knowledge aimed at social change. 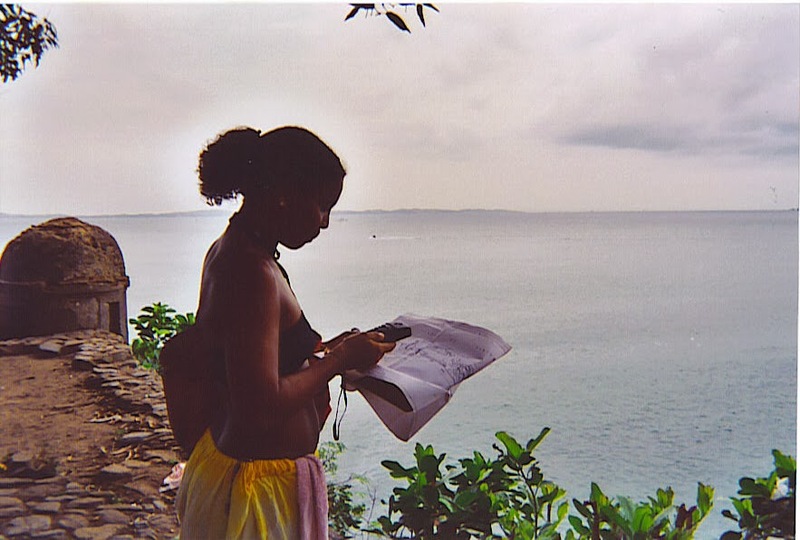 Black Women against the Land Grab is the result of ethnographic research collaborations with local activists in the Gamboa de Baixo (also called Gamboa) neighborhood of the northeastern Brazilian city of Salvador that is at the heart of the analysis. So for many years I have not only had to contend with persistent questions from colleagues to the tune of “How is the book coming?” in anticipation of tenure, but also from activists who understood this book as a necessary way of documenting the history of the mass movement against forced land evictions. In recent years, after they had gained some social and infrastructural improvements, the threat of government displacement of Gamboa residents seemed a distant memory and the black fishing colony, unlike many others in Bahia, seems to have secured its place on coastal lands in the city center. I wondered whether the ideas in Black Women against the Land Grab still mattered, or should now only be read as history. After all, part of Gamboa activists' concerns echoed the book's primary argument that neighborhood movements led by women should be recognized as the grassroots base of the broader black Brazilian movement and that land was a key issue mobilizing the poor black masses—views absent from the literature on black activism in the country. “While many writers have portrayed Salvador as a happy and naturally beautiful city in the African diaspora, urbanization reveals that it also is a city saddened by disparities in wealth, the intrinsic segregationist policies that govern the region, and the racialized and gendered implications of social and economic development. 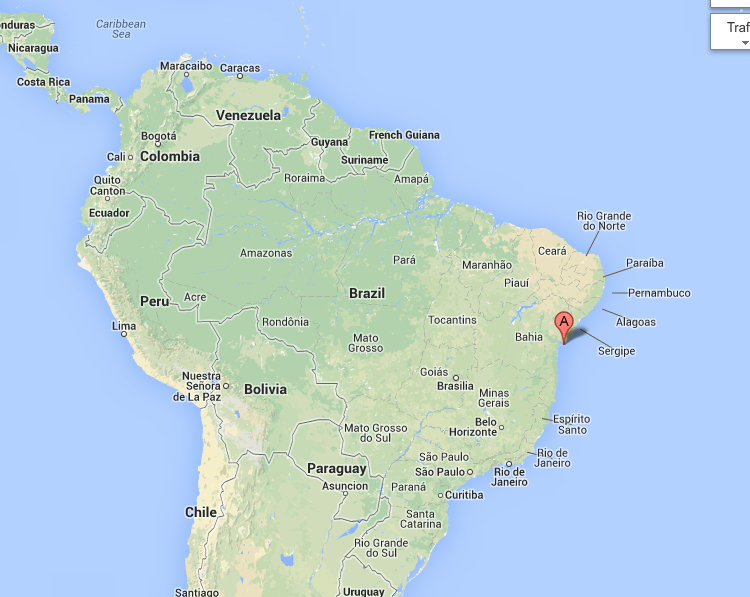 Salvador is a city of contrasts: ‘The city of Bahia is unequal and contradictory. Happy and sad, rich, poor, and miserable. Beautiful and ugly’ (Serra 2002, 25)” (35). Via Nautica is a redevelopment plan that Gamboa residents have been fighting since the mid-1990s. It has become even more urgent for urban planners preparing the city for the World Cup and the Olympic Games. I unpack this logic of spatial exclusion in the book, and detail how corrupt and violent state policing and social abandonment have led to negative media representations that have solidified public opinion in support of forced relocation of poor blacks from Salvador’s coveted coastal lands. the São Paulo da Gamboa fort for the book. It is clear to me how urgent discussions on violent land evictions in black communities still are. (Although I write about the black urban land rights struggle in Salvador and Brazil generally, most of the book focuses on Gamboa de Baixo's resistance against forced expulsion from coastal lands.) The national and international media have focused heavily on protests in Rio de Janeiro against the demolitions of houses and relocation of residents to the city’s distant periphery. As the history of Gamboa de Baixo and the general exclusionary nature of urbanization in the city of Salvador have shown, preparations for the upcoming international sports events to create a modern international city began decades ago, and blacks and poor people carry the burden. This is evident in other neighborhoods such as the world heritage site Pelourinho. African-descendant culture is the face of Bahian and Brazilian culture (religion, capoeira, artisan goods), but black people do not belong in these revitalized spaces. However, as Ana Cristina says, black and poor people who have traditionally occupied coastal lands are not fighting against development; they are fighting for development that includes them as active participants in the process. Moreover, Gamboa de Baixo residents are not surprised that once again they have been targeted for forced removal, and, they warn, nor should the government be surprised that they are prepared to fight until they die. A luta continua. The struggle continues. 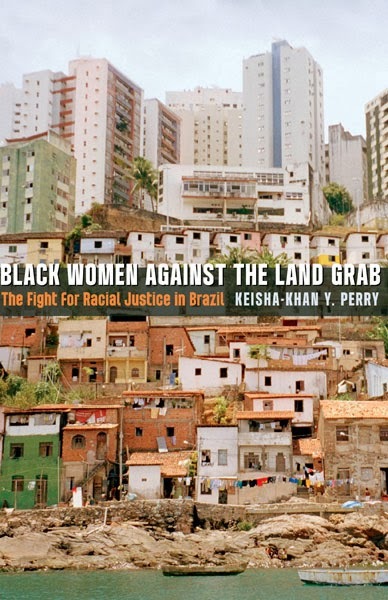 Keisha-Khan Y. Perry is author of Black Women against the Land Grab: The Fight for Racial Justice in Brazil. She is assistant professor of Africana studies at Brown University. "In a bold intervention from the tendency to ignore women’s participation in struggles for land rights and access to basic resources, Keisha-Khan Y. Perry paints women as the categorical leaders in resisting ‘development’ plans that amount to expelling poor, black communities from their historical homes. Her long-term involvement with the Gamboa de Baixo community in Salvador da Bahia, Brazil, and unabashed advocacy for their cause, results in an electrifying ethnography that showcases the wry humor and perceptive analyses of grassroot community activists."